We stood at the edges of Dyrhólaey, looking out to the Atlantic. The sun seemed to be hiding behind the clouds and a low laying grey fog, with the occasional spots of blue, scraped the sea. Along the black sanded beach were sharp black cliffs (Where we were standing) that towered over the Atlantic coast. 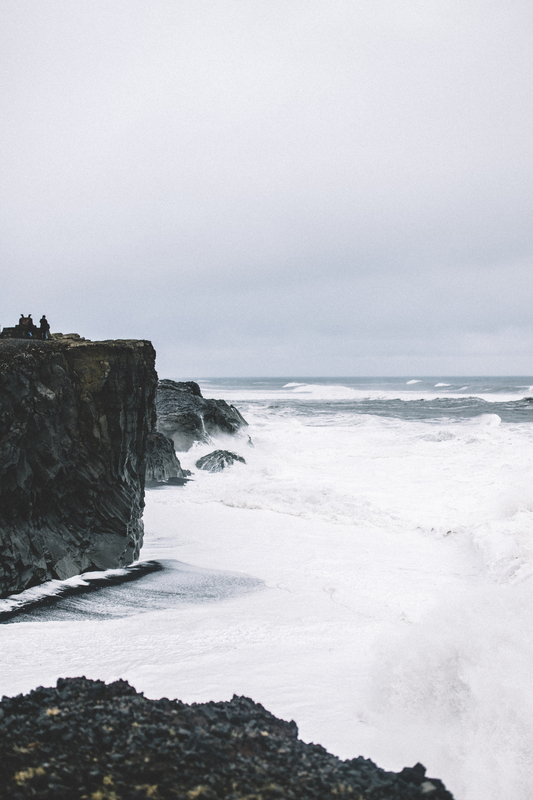 The cliffs were tall and rocky, and seemed unphased by the roaring waves below. The muddled white foamed waves were supposedly more wild that day than they normally were. 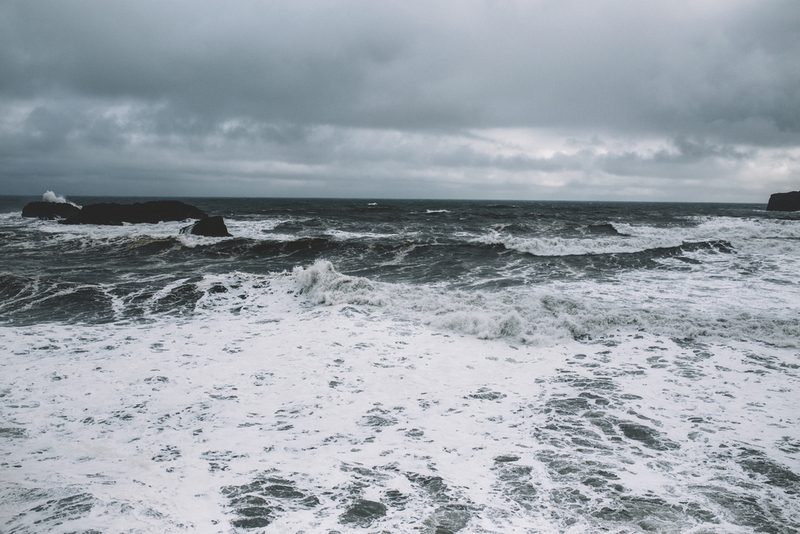 The waves smacked and whipped the black jagged cliffs, roaring and spraying all who were near. Collecting themselves, the waves would pull back in a quiet stir. 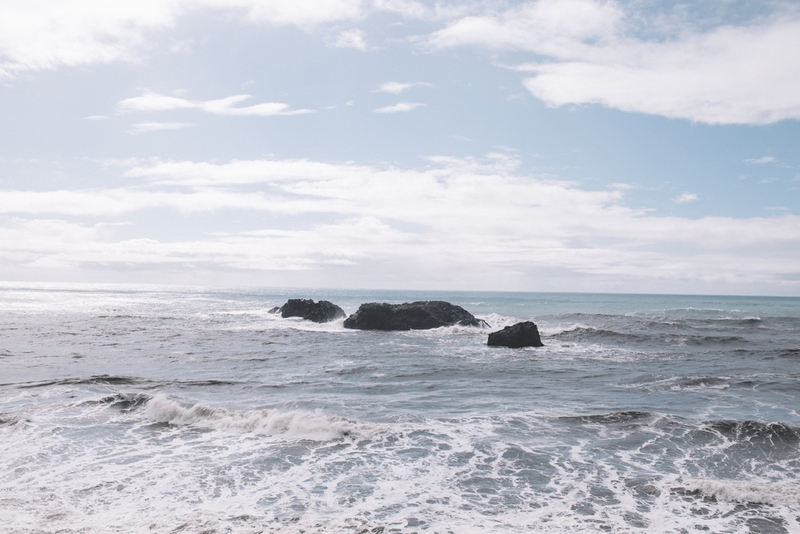 Then, as if deciding they were no longer content with their own silence, the waves threw themselves back at the cliffs. The black jagged cliffs continued to remain unphased by the angry white waves below. However, it is because of the angry white waves that the cliffs were as jagged and as tall as they are. As I watched this interaction between the cliffs and waves, I experienced what I think was my first feeling of "connectedness" with nature. Below, are my shots of the Dyrhólaey cliffs and of the edge of the mountain, Reynisfjall. The cliffs of Dyrhólaey was one of my favorite spots we got to explore in Iceland, so I'm very excited to be sharing these with you! Please enjoy.